It’s Gesa and Frank here! We are currently in the bush, internet is scarce (and we love it!). We only work with partners, lodges and camps that we have visited ourselves. 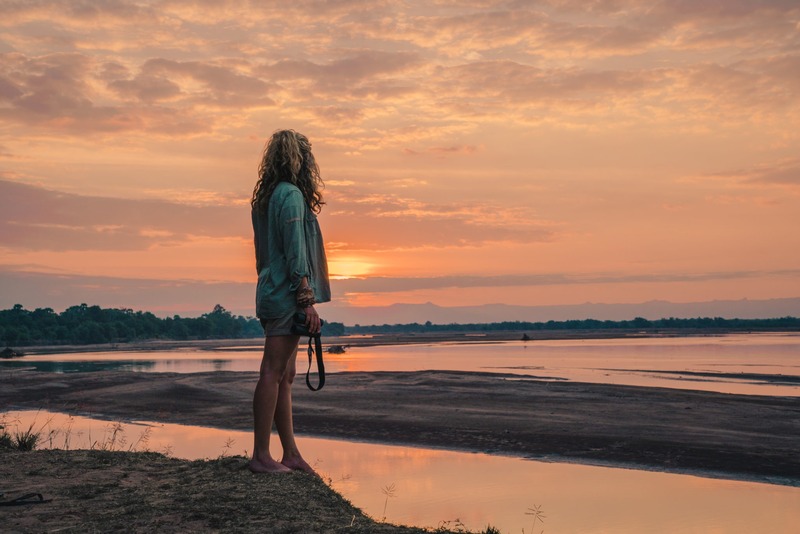 For the most part, the places we choose for our safaris are exclusive camps – meaning: we will have the whole place to ourselves when we are there! 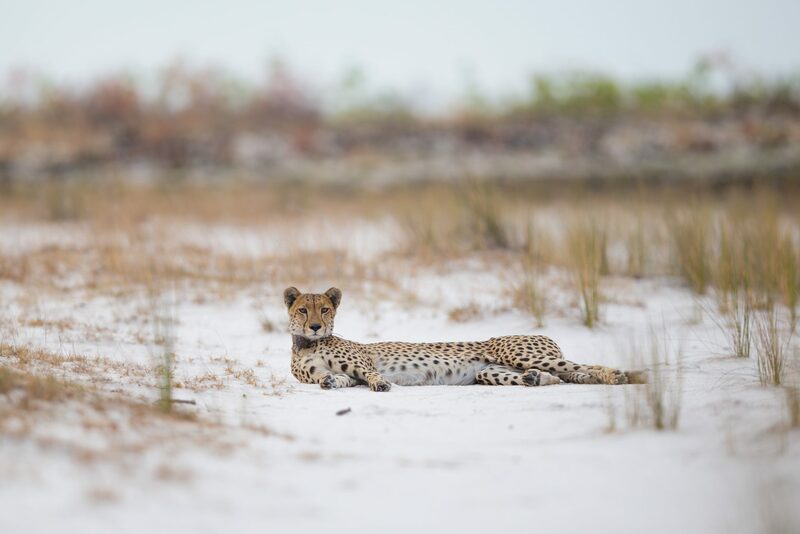 We prefer unfenced camps, where every wild thing can roam around freely and we truly become part of Nature. At times, this might mean a compromise in luxury (but not in comfort!). 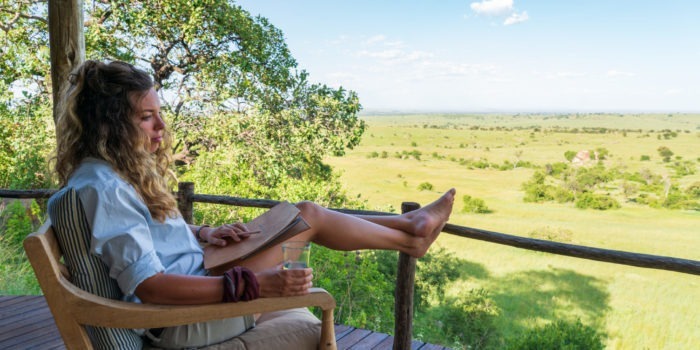 However, it is our firm belief that you can only experience the ‘real’ Africa when you blend in and open yourself up to this wild experience. Also, we choose the areas and reserves where we take our guests according to their “wildness”. We believe in: Quality instead of quantity. We love places where only one or two lodges operate. This means: Animals are completely wild and may or may not feel comfortable with our presence – and decide to not stick around sometimes. It’s not the zoo after all. We love the big “hairy-scarys” just as much as everybody else does, but we are not “Big-5-chasers” (Big 5= Elephant, lions, leopard, buffalo, rhino). 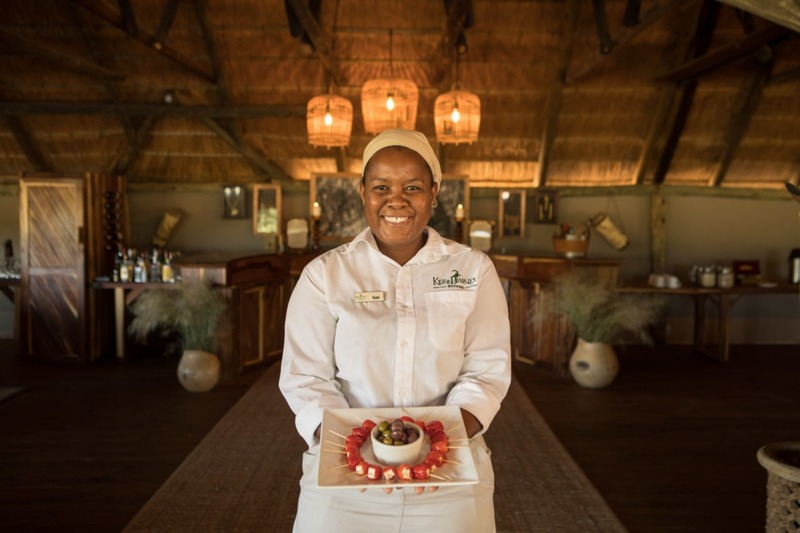 The bush has so much more to offer and we want to open your eyes to all the beauty you can find out there – away from other people, if we can. 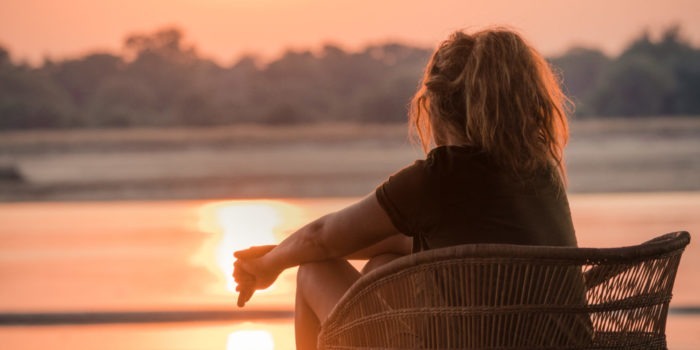 Our safaris are not “loud.” Don’t get us wrong: we love to sit around the fire with you to chat and share stories… and Gesa might even get the guitar out 😉 We believe that it is an important part on a safari to tune in on Nature’s frequency and spent the hot time of the day to read, reflect and relax. Most guests who come with us lead very busy, loud and stressful lives – we encourage everyone to use the time spent in Nature to recharge their batteries. And we will always be there for you if you have questions or concerns. It is up to you how much you let the wild into your heart – all we can do is open the door for you. 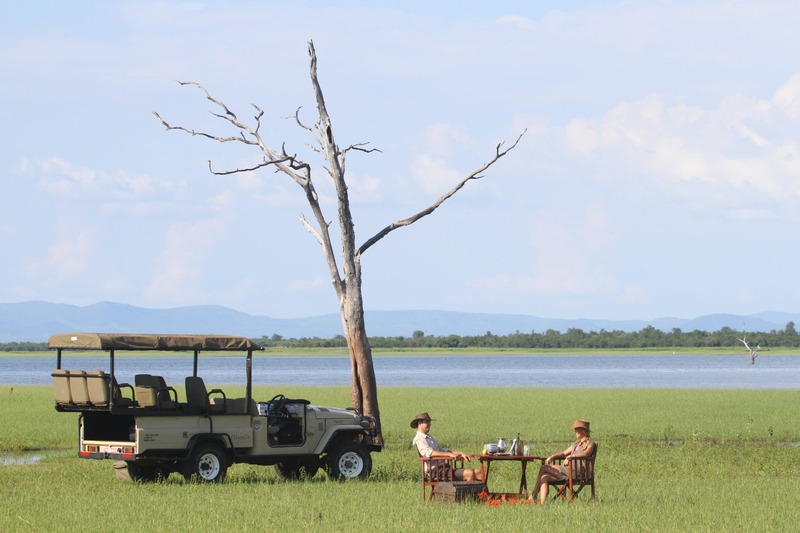 Our safaris are never spent in just one place, camp or lodge. 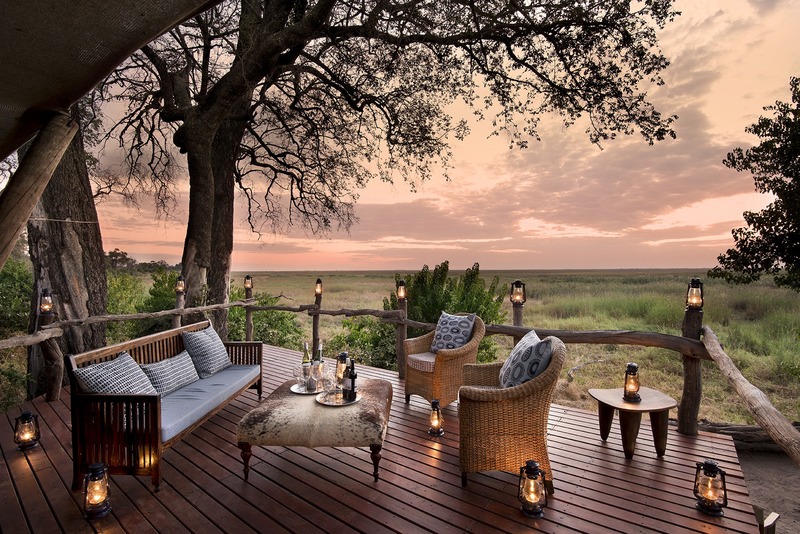 We like to mix it up and show you different parts of the African wilderness. We work closely with the local guides in each area who operate the radio and drive the vehicles. Their local knowledge is vital and we work together as a team to get the best sightings for you as our guests. 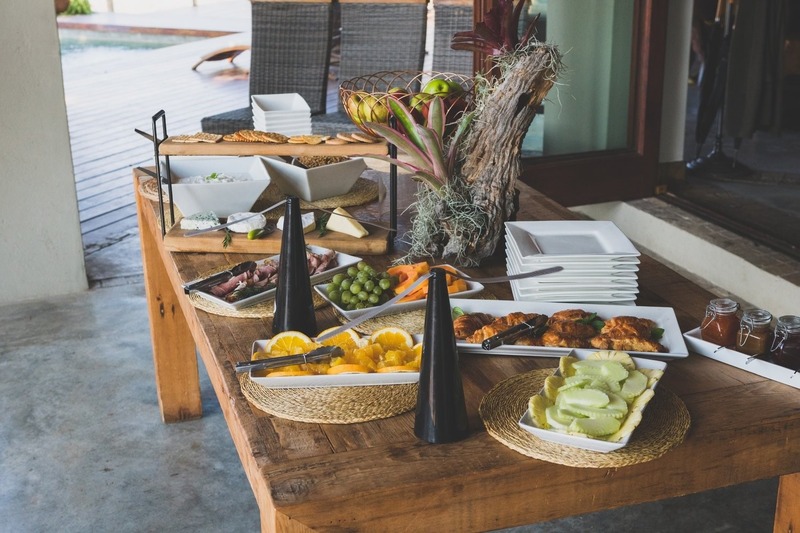 One thing is guaranteed: There is always going to be more than enough food on your safari! 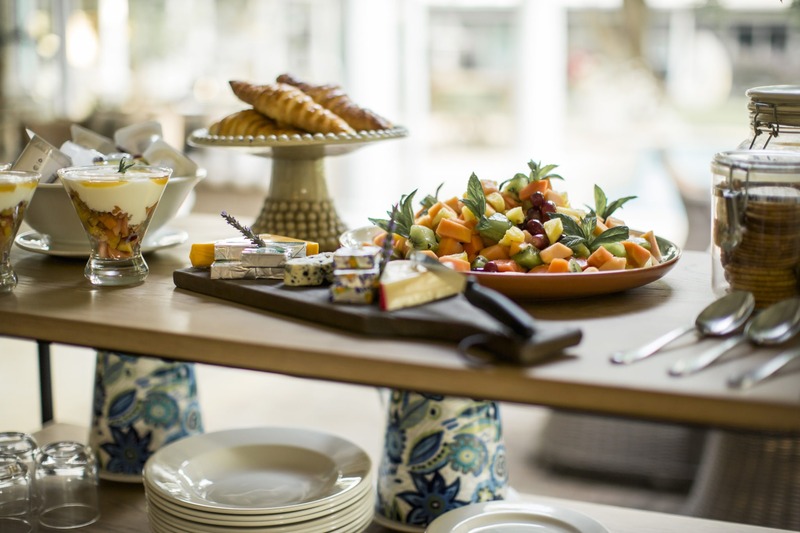 We love eating healthy and our partners can cater to all types of dietary requirements. Just drop us a message before you come out on safari, so we can make sure we got all your needs covered!